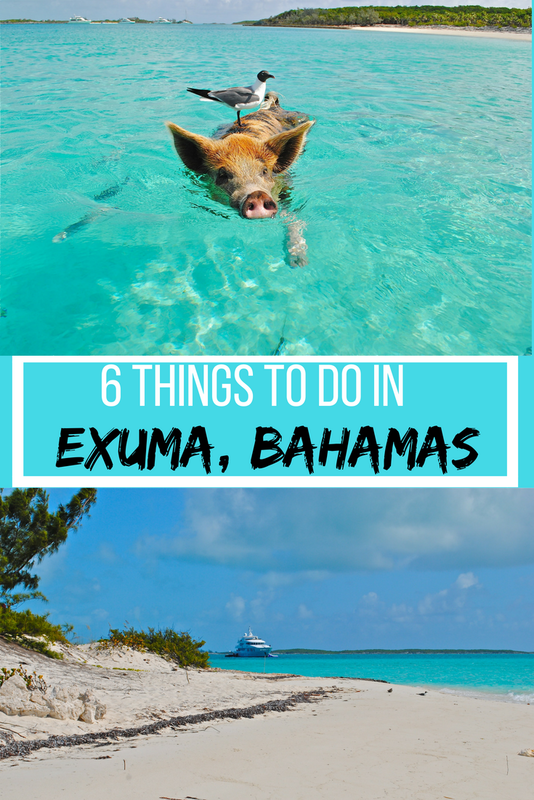 The Bahamas are a dream destination for many, you picture big yachts, big parties and more fun than you have time for and Exuma, which is part of the Bahamas has all this and much more. Every year people look for exuma villa rentals, so they can share in on some of the fun. I’ve made this article to show you just some of the fun activities that you can get up to while you take your vacation here. Exuma is a district of the Bahamas, consisting of over 365 islands, also called cays, beginning just 35 miles southeast of Nassau. How could a trip to the Bahamas be complete with a shipwreck visit of which there is an abundance in the area, from mercenary aircraft to 18th-century cargo vessels you will surely find one that is both entertaining and interesting. One of the most popular is the train wreck site in North Eleuthera, what was supposed to be a new locomotive was sank in the 1850’s when the ship which was carrying it was caught in a large storm. For this, you will need your diving license as it lies 15 feet below the surface. For those who do not have a license then perhaps The Sapona would be a better option. A former concrete vessel, it now lies in the ocean as an artificial reef, one which is popular with both divers and fishing. Hire a charter boat for the day and you can enjoy this site along with others. Yes, pigs! Every island offers swimming with dolphins, but pigs? 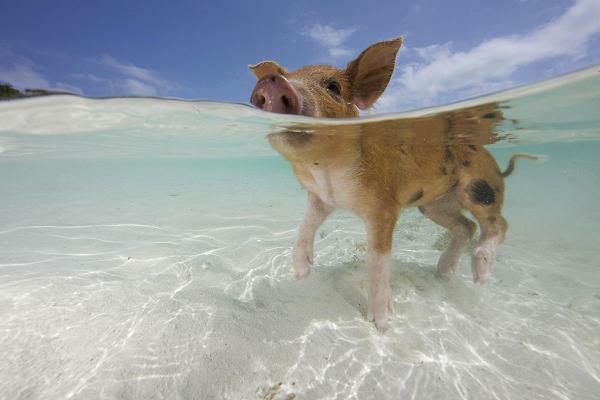 Swimming "domesticated" pigs live on Major's Spot Cay, and it's uncertain how they got there. Whenever a boat arrives, they swim out to it and expect to be fed, a practice that's been going on for years. The only way to reach Pig Beach is by boat, so you'll either have to charter one or take a guided tour. Some of the hotels offer their own tours or boats. But a popular tour company in the area is 4C's Adventures, which offers a full-day tour that includes visiting the pigs, swimming with nurse sharks, meeting iguanas, a sandbar picnic, and snorkeling in the famous Thunderball Grotto (a scenic spot that has been in two James Bond films), for $160 per person. Meanwhile ... Compass Cay is home to nurse sharks just waiting to swim with daring humans, and Bitter Guana Cay is home to the endangered Exuma Island iguanas, though you'll feel like there are plenty of them when they coming running towards you across the sand! Being in the Bahamas there is never a shortage of opportunities to take a boat trip around the area to check out some of the lesser known cays and islands out of the over 300 to choose from. You can go on fishing, scuba diving or sightseeing ventures on your own private boat trip. Depending on your budget and timescale you can have food prepared, tours of secluded areas and all the equipment you need to be included in your day or overnight trip. Venture out to some of the more secluded areas and experience what life must have been like during more quitter periods in the area history. Not one that necessarily needs to be on the list but something you will get up to anyway. Beach time in the Bahamas is the reason many people have taken the trip this far. The beach, especially in the Exuma region, is some of the best in the Bahamas mainly because they are virtually untouched. 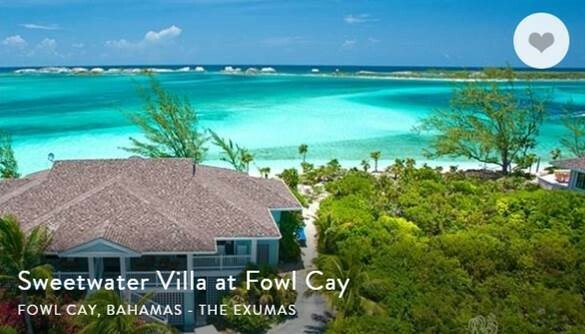 The larger of the Exuma island will, of course, have more tourist options regarding accommodation and restaurants but for a true castaway experience then you want to venture to the further Cays where you can spend the day exploring islands that have had hardly any human contact. Bring a picnic and enjoy the tranquillity and quietness that some of these nameless beaches have. It is truly a special experience to enjoy and be in a place that perhaps nobody has been before, save the pirates that once dominated the area. This can be either something you happened to catch on one of your boating trips or more likely in one of the many Caribbean restaurants on the larger Exuma islands. Known for its luxury destination label expect to find some of the best-cooked food in the region. For a more authentic feel though try and find some locations in which the locals are dining out, this is for a more authentic experience and to have the food how the locals really do. Sometimes this can be better than any upscale restaurant you find in the area. Fresh fish with that real Bahamas style of cooking is not something that you will forget lightly after your visit to the island is over. Take the water taxi to Stocking Island for amazing fresh conch at Big D's Conch Spot, or eat a whole fish at Eddie's Edgewater Grill or Shirley's at the Fish Fry. End your night by going to a dance party at Chat 'n Chill. With the main period of the islands, history beginning in the 1650’s you can find a trove of information on tours about the history of the island. This stretches from slavery, colonials, British and Spanish conflicts and even Piracy which was very common in the area at one time. Some tours will take you to the old haunts of pirates, tell you about the history of plantation farming in the region and in more modern times the use of the areas as a hub for drug telling which marred the reputation of the area for quite some time. Not content with being just an island paradise there is much more to Exuma than simply the beaches and waters off the coast of its many islands. Just six of the many, many more things to do in Exuma. Hopefully, this has given you a little inspiration to visit.